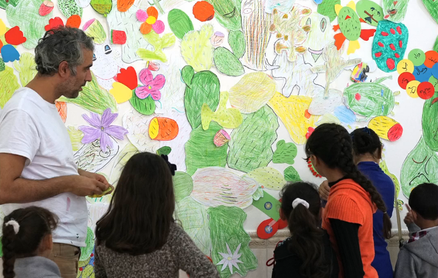 On a recent trip to Palestine, Athier conducted Salma and The Cactus Workshop, a children's workshop held as part of the Science Days in Palestine Cactus Workshop at Ni'lin, Palestine. Inspired by the Palestinian Museum's inaugural exhibition 'Never Part', the workshop was developed by the artist, who was the museum's visiting artist in November. View workshop video here, filmed in collaboration with artist Sama Alshaibi.